Millennials Have Never Been This Cold……. | "Northern Crossings"
Millennials Have Never Been This Cold……. After the last couple of weeks I have had my frustration and respect of winter reinforced. I used to love the winter and looked forward to the first blizzard or at least heavy snow. Not anymore. It is not fun. Our common misery in the winter is one of the things that we share up here in our crossings in the North country. I was traveling during the wild very cold parts of last week and the reaction to the cold in St. Louis has always amazed me. What I heard on the TV was really stunning. Some meteorologist or weather person said that “millennials had never been this cold”, or had never seen this kind of cold or something like that. Ok we need to calm down. We talk about this all the time and our younger friends haven’t figured it out yet but history didn’t start when their precious little bottoms were first covered with diapers. They might want to pay attention to their elders and not roll their eyes like their designer glasses have gotten out of whack for some reason. 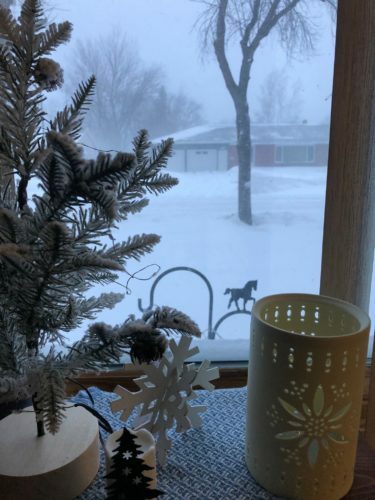 They might want to read a book called “Looking for Candles in the Window” that describes a blizzard that took hundreds of lives in Canada and the Dakotas back in the day. Minnesota has a marvelous history of cold and blizzards so for some young “snow flake” whose business is the weather to say something like that is really quite silly. Millennials up here in the North would have experienced this kind of cold, they just never got out of the basement to notice. Webster says in his dictionary, “a blizzard is called a furious hurricane of wind with fine blinding snow, and characterized by intense cold.“ You say, “I have seen blizzards already.“ Yes, perhaps a baby blizzard, but not a real one. I was born and raised in Missouri, then I lived in Illinois, Indiana and Michigan. I experienced my first real blizzard in North Dakota. This was in November 1896. Winter started early that year. In fact, when I got to North Dakota in the middle of September it was quite cold. The first snow fell October 17 and from there on we had plenty all winter, and that day was 11° above zero. The first blizzard came the day before Thanksgiving, November 24, it lasted three days and it was a real one. The duration of such a blizzard usually is three days. As a rule, it starts in the north east, then the wind slowly circles around and then abates in the south. A blizzard may come suddenly without previous warning, but then usually it does not last so long. At times there is a calm, a depression in the air, a misty fog and one has a feeling that something is coming. Suddenly it gets colder, the wind begins to blow and there is your blizzard. The wind become stronger and stronger, the air is full of fine, sharp whirling and twisting snow, it blinds your eyes, it takes your breath, it chills you to the bones. Then, look out, find shelter, or your liable to be lost and freeze to death. had no idea of the eminent danger he was in. Going with the wind he managed to get there safely, to the surprise of the people who have been living in Dakota for a number of years. They told him, not to try that again, but to stay at home during such weather, and they begged him to stay there for the night. He thought he had to go home and towards evening he started out. A wire fence and a stone pile, humanly speaking, saved that man’s life. This time he had to face the wind and was soon blinded and lost. Luckily he came to the wire fence which enclosed the pasture between the church and the neighbors place. He felt himself along that fence and came to a rock pile. Then he was glad, for he knew that was the only rock pile in the whole neighborhood and was directly south of the church, about 100 feet. Those rocks were left over from building the church. He went directly, as he thought, towards the building, but he missed it. He turned about and now looking with the wind he saw it and was soon inside and safe. According to my memorandum it went down to 32 below zero during the storm. The next day this man did not go to the neighbors, nor did he go after that whenever such a blizzard was sweeping the Prairie. And something else. He placed stakes into the snow about a rod apart so that he can find his way whenever such a thing would happen again.